The Garrett ACE 300i was released in 2016 and is Garretts up to date answer to the Garrett ACE 250. 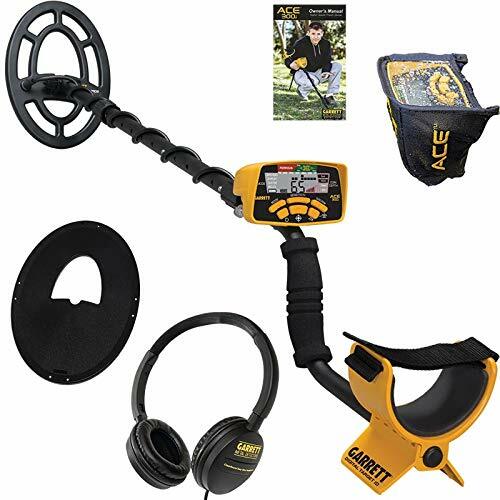 The Ace 250 was the most popular model of metal detector ever. 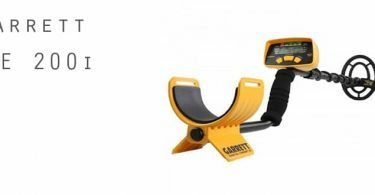 Before we start I would like to clarify the difference between the Garrett ACE 300i and the Garrett ACE 300. It’s very straightforward really the ACE 300i is the international version of the machine whereas the ACE 300 is the US version. There is no difference in the performance of the machines, the only difference is the decals on the control panel. The 300i has the European denominations and the 300 the US denominations. With Garrett’s mission being to produce a new line of ACE machines that were more future proof the ACE 300i is more up to date with the times, they’ve taken the ACE 250 and added more up to date technology and features. The 300i is a very good entry level metal detector that won’t take you 5 minutes to learn. In true Garrett ACE fashion, they have kept the design as similar to the predecessors as possible. Sporting the bright yellow and black design as before. The control panel looks pretty much the same as the Garrett ACE 250. There’s a mode selection button, sensitivity buttons, discrimination buttons, power, pinpoint and accept and reject which works in conjunction with the discrimination. The LCD screen is simple and clear displaying all you will need to know. Mode that is selected, the ferrous/non-ferrous scale, depth indication, battery levels, and the welcomed numeric target ID numbers. 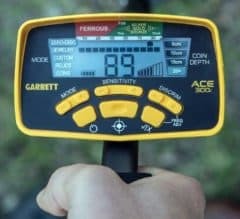 There are 5 modes that can be used in the Garrett ACE 300i these are as follows. Jewellery – Optimised for jewelry type items like necklaces and rings. This mode will ignore most iron trash. Relics – Optimised for targets in the lower conductivity scale, items like lead, bronze and brass. It should also help with the elimination of small iron pieces like nails. Coins – Optimised for coins and eliminating iron foil and nails. Be careful with this mode though as you may miss hammered coins. Zero Disc – The zero disc mode means zero discrimination or in other terms all metal. The Ace 300i in this mode will detect anything metallic that is in the ground. I personally only ever use this mode, that way you never miss anything. Yes you will dig more junk but once you have got a grip of listening to the tones and the numeric ID scale you will find this mode the most productive. Custom – The custom mode allows the operator to select the settings they require ie eliminate parts of the numeric scale and discriminate or setting the sensitivity, it then can be saved for later use even when the metal detector has been switched off. Saving you time setting up again. Pinpoint mode is a mode you select once you have heard a signal while sweeping the ground. This will allow the user to get a more accurate reading of where in the ground it is located, you will need to determine the “sweet spot” on the coil you are using, once you have the location of the target should be directly below it. The new Numeric Target ID is a godsend, in my opinion, I couldn’t imagine using a detector without numeric ID now, maybe that’s pretty lazy of me but I’ve always found it really does help reduce the amount of junk you dig. If it gives a stable numeric reading without bouncing around then it’s worth digging! Higher frequency than it’s predecessors running at 8kHz increasing the conductivity of gold and lead. The Pulse width modulation audio helps achieve a sharper more responsive audio. 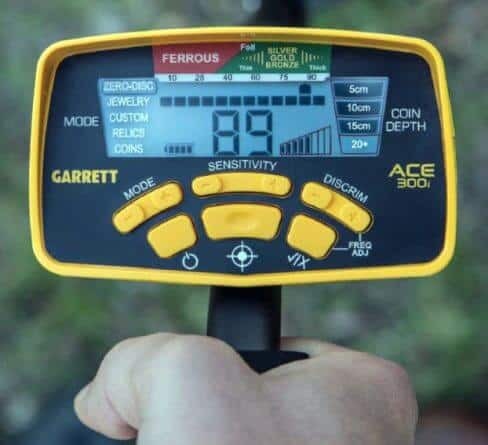 The Garrett ACE 300i as I mentioned earlier was the 2016 answer to the Garrett ACE 250 which was ultimately the best selling metal detector of all time, maybe because of its price and simplicity. I believe they have created a machine that will continue the success of the ACE 250 with the 300i. 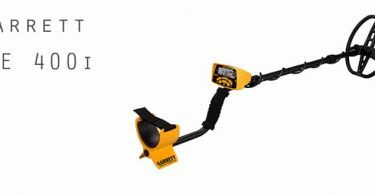 A great little metal detector with more than enough for the beginner. They have always kept the simplicity so you won’t struggle to set this machine up before a hunt or figuring out how it works, in fact, it’s pretty much switch on and go technology. The machine comfortably hits the 7 – 8-inch depth in fair conditions, in good conditions you’re likely to get more depth than this. Unfortunately, as all beginner models and the majority of the ACE range, it does struggle in highly mineralised grounds and on the wet beach. The only thing you can do is switch the sensitivity right down but even then you’re going to get some false signals still. I would have liked to have seen Garrett focus more on increasing the stability in this department but in all truths, it only performs slightly better than the ACE 250 and this is highly due to the increased iron resolution on the 300i. The numeric target ID is fantastic and more accurate than what I presumed it would be. For me the tones are a little annoying and loud, so headphones are recommended as to not drive anyone around you mad. Although annoying they are very clear which for some of you may be desirable. There is the cheaper more simple version the ACE 200i or the more expensive 400i that you could throw into the mix depending on the budget. All in all for those of you with a small budget that is looking for an entry-level machine with a few more bells and whistles then the Garrett ACE 300i is a machine you can rely on. It’s got more than everything you need, it’s straightforward and simple to use and most importantly you will find coins and artefacts if they are beneath you. Another success for Garrett in my eyes. If you can afford it go for the ACE 400i if not the ACE 300i is a fantastic beginners machine that will help you learn. I spent a good half a day using one and I found a couple of Victorian pennies, a naval button and a medieval strap end. So if it’s there it will find it. What are the best settings for the Garrett ACE 300i? As with most Garrett ACE machines, I believe the discrimination to be a little iffy so I always run in Zero Disc (all metal) one sensitivity level from the top and listen closely to what the tones are saying and what the numeric ID tells me. What’s the best coil for the Garrett ACE 300i? There are many coils available for the Garrett ACE 300i, it’s hard to say what is the best. It all depends what you want to achieve if it’s extra depth the NEL tornado coil is what I would recommend. How deep does the Garrett ACE 300i go? Again this is highly dependent on the ground conditions. In good soil with low or no mineralisation, you could be pulling out finds as deep as 12 inches! But in normal average conditions, I would say between 6 – 8 inches.